Ryan and Dani are an award winning duo, amassing a lifetime of experience and knowledge throughout their chartering career to date. These two possess a genuine ability to seamlessly mix fun with professionalism, leaving guests feeling welcome and well-accommodated. Dani and Ryan bring the culmination of their vast career experience to the guests of their newest endeavor, Stop Work Order. Captain Ryan took to the great outdoors from the very start, growing up in the countryside of Ohio. Whether he was playing football or baseball, boating on the many nearby lakes, or taking family fishing trips to the lakes of Canada, he could be found enjoying what nature had to offer. Ryan brings that same appreciation for the outdoors to his career as a professional charter captain. He holds a 50-ton Coast Guard Credential with a sailing endorsement and gained a wealth of critical knowledge over the past 2 years, captaining a 55-foot sailing catamaran all throughout the Caribbean. Diving is such an extreme passion for Captain Ryan that he has recently become a PADI certified dive instructor with over 200 recorded dives. Ryan is also known to whip up award-winning cocktails, having won Best Cocktail at the Fall VICL Yacht Show 2 years in a row! Chef Dani brings along an adventurous spirit that is bound to rub off on those around her. Also growing up in Ohio, she spent her time being very active whether it was playing softball, golfing, fishing or, most of all, being in or near the water. Her love of the water carried over as she spent time on her high schools swim team, with friends on Lake Erie, or in her backyard pool. Her first trip to the Virgin Islands at age 17 made her realize that one day she would trade the ponds, lakes, and chlorine for the open ocean. She made that trade in 2012 and has been immersing herself in the Caribbean culture ever since. 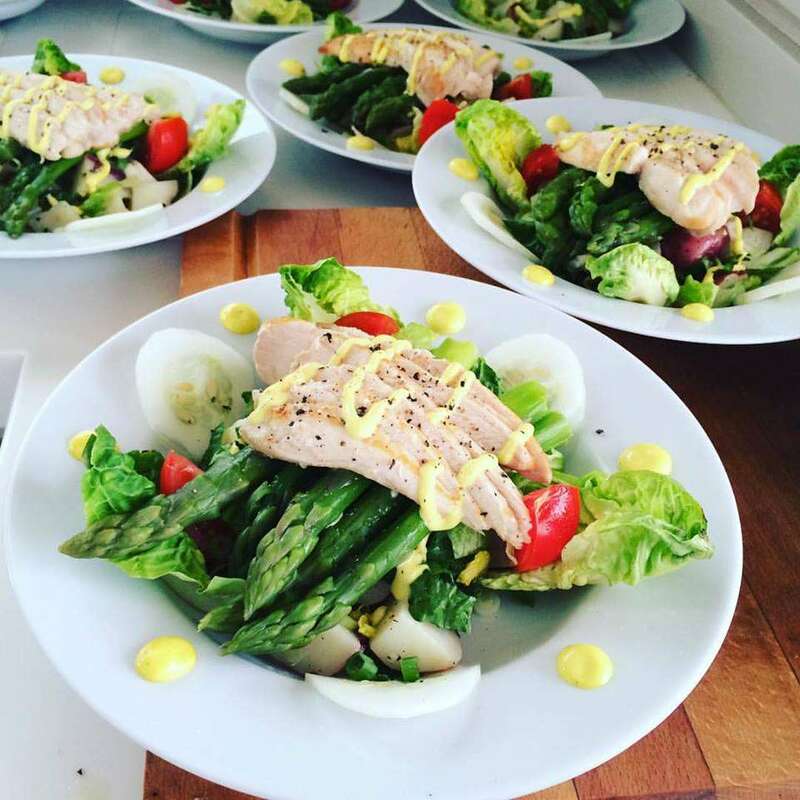 For the last 2 years she has been the chef aboard a 55 foot sail catamaran, honing her culinary skills and delighting her guests' taste buds with a wide range of cuisines. Over the course of the last 2 years she has become proficient in many different culinary styles such as vegan, vegetarian, pescatarian, and kosher, just to name a few. Her attention to detail and great sense of humor leaves her guests well-fed and entertained! She is up for any challenges to create new and exciting meals that fit her guests' preferences and desires. 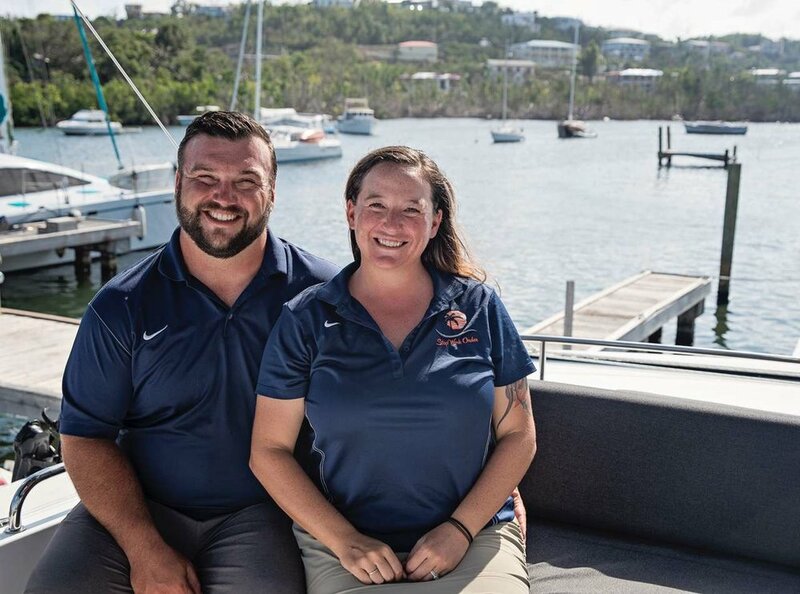 Ryan and Dani are excited to deliver high-end vacations to their guests, offering friendly, personable service and professionalism that matches the luxury, comfort and accommodation of their newest venture, Stop Work Order. Over the course of the last 2 years they have sailed over 3,500 nautical miles spanning all the way to Grenada. Their passion for people, love of the water and sailing creates both an adventurous and a welcoming environment felt by all.